NEW YORK – At an appearance at the DEW conference in Los Angeles in February, Maker Studios president Ynon Kreiz declared “in 2015 is where we expect to activate and turn on the great IP from the House of Disney,” which purchased the multichannel network in a much-ballyhooed deal in March 2014. Kreiz (pictured) made good on that promise at Maker’s NewFront presentation at Skylight Clarkson Square on Tuesday morning with the announcement of several programming collaborations with other divisions under its parent company’s umbrella, including Marvel, ESPN, and ABC’s Lincoln Square Productions. 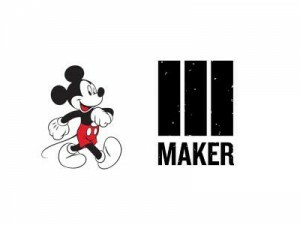 Maker will produce original content based on Marvel lore, which has inspired a string of Disney theatrical hits, including the Iron Man and The Avengers franchises, as well the recent Netflix series Daredevil. ABC’s Lincoln Square Productions and Maker will collaborate on nonfiction storytelling around politics and culture, kicking off with the original series American Woman, and continuing with a slate of programming leading up to the 2016 election. With ESPN, it will produce a series pairing X Games action sports athletes with creators that will debut this summer. Notably absent was any mention of the Star War franchise – acquired by Disney in its 2012 purchase of Lucasfilm – which will be rebooted this fall with the release of the J.J. Abrams-directed sequel Star Wars: The Force Awakens. However, recent Maker talent signing Rachel Zoe made an appearance on stage, as did Taryn Southern, who announced her new talker The Taryn Show, which will feature sketch comedy, as well as interviews; and Lisa Schwartz, who announced her upcoming scripted comedy series Party Girl, based on her real-life experiences working humiliating low-wage jobs. Bearded drag fashionista P’Trique was also on hand to announce his new roundtable discussion show Fashpad. David Milchard and Matthew Clarke of Convos with my 2-year-old introduced their new satirical entertainment news show Toddler Tonight. 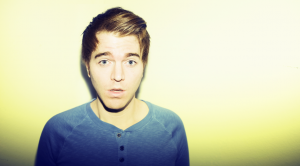 There were also previews of Maker Tales, a series where classic fairy tales such as Pinocchio, Hansel and Gretel and Red Riding Hood and Robin Hood are reimagined as music videos with Maker Talent including Tessa Violet, Iman Crosson, Dodger and Timothy DeLaGhetto; Nursery Rhyme Mashups, an animated sing-along show combining classic nursery rhymes with modern musical genres; Toy Detective, a live-action mystery adventure that follows EvanTubeHD as he solves mysteries for toys; and The Look of Knowing: Part 2, a sequel to the dark animated series by Marzia Bisognin (a.k.a. CutiePieMarzia). Maker’s upcoming original series slate also features Camp, a coming-of-age story, adapted from James Franco’s Palo Alto: Stories, set in a fictional summer camp in the idyllic woodlands outside of the Bay Area. The series is the first in a line of original content from the Rabbit Bandini_Lab, which is part of its Maker_Labs division. Other upcoming programs include Polaris Animated Universe, in which popular online gamers and animators collide in an original anthology series bringing mash-ups, parodies, and fan-favorite moments to life from the Let’s Play series and podcasts; This is Why You’re Single, a scripted series about two shallow, narcissistic, and oftentimes reprehensible BFFs; and Fast or Fancy, in which Daym Drops and Amy Pham face off in high/low food culture battles. Maker also revealed several advertising and network partnerships, including one with Hispanic-focused online video network mitú on a content arrangement with Starcom MediaVest Group’s LiquidThread to fund the development of original series, social media programs and influencer formats across platforms. It is also teaming with marketing and technology agency DigitasLBi to create a Digitas_Lab, a company that will use data-driven insights to create content for cross-platform distribution. 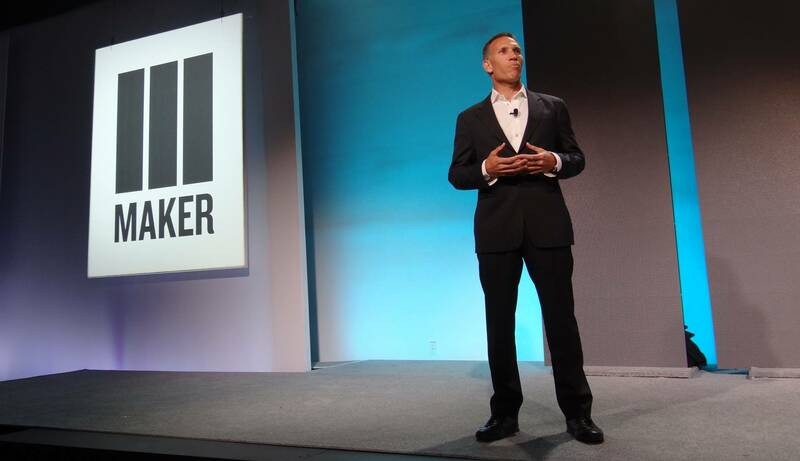 Additionally, Maker announced it is partnering with Outrigger Media and their OpenSlate platform to launch Maker Select, a new proprietary ad solution for media buying combining targetable metrics like content quality, brand safety and subject matter expertise with OCR (Online Campaign Ratings) guarantees for demographic targeting and transparency for ad placements. The service will available not only within the Maker network, but throughout YouTube. Media brands such as DigitasLBi and Starcom MediaVest Group offer clients access to Maker Select, providing them proprietary data, targeted audiences, guaranteed viewership and favorable pricing. Follow @toddlongwell1 for the latest #NewFronts updates.